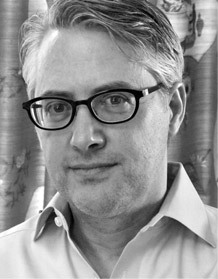 Douglas Smith is an awarding-winning historian and translator and the author of four books on Russia. He studied German and Russian at the University of Vermont and has a doctorate in history from UCLA. Over the past twenty-five years Smith has made many trips to Russia. In the 1980s, he was a Russian-speaking guide on the U. S. State Department’s exhibition “Information USA” that traveled throughout the USSR. He has worked as a Soviet affairs analyst at Radio Free Europe/Radio Liberty in Munich, Germany specializing in Russian nationalism and served as an interpreter for late President Reagan. Smith has taught and lectured widely in the United States, Britain, and Europe and has appeared in documentaries for A&E and National Geographic. He is the recipient of numerous awards and distinctions, including a Fulbright scholarship and a residency at the Rockefeller Foundation’s Bellagio Study Center. He last spoke at Hillwood in November 2008.